RUN! These will sell out! Hurry over to ebay.com where you can score $3 off ANY item $3.01 or more. 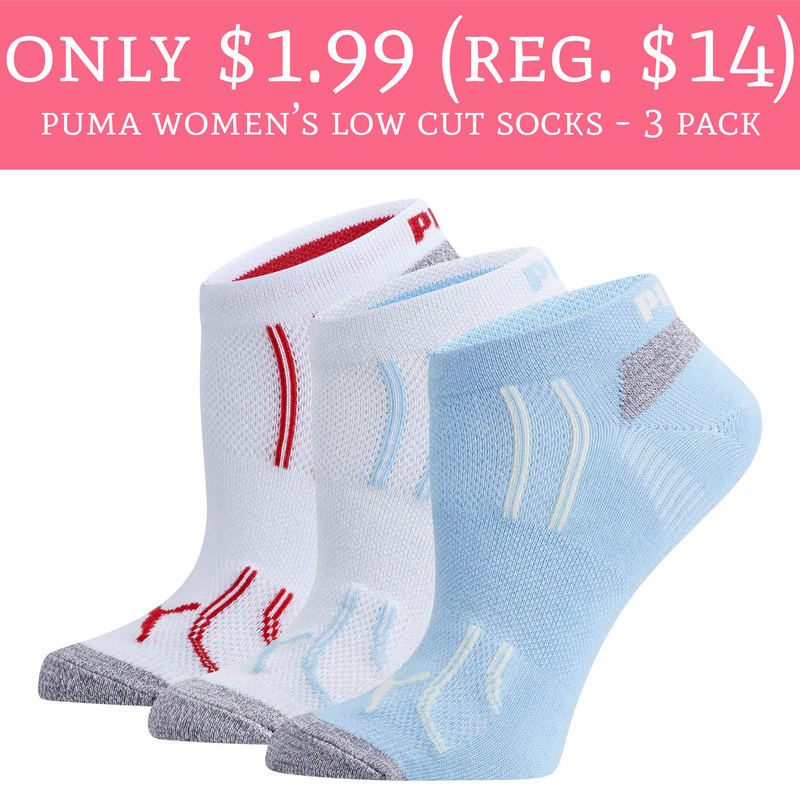 As a deal idea, you can score Puma Women’s Low Cut Socks – 3 Pack or the Puma Women’s No Show Socks – 3 Pack for just $1.99 (regular $14). You can also score the Men’s Crew Socks – 2 Pack for just $1.99 as well. They are all currently priced at $4.99 and during checkout use promo code PERFECT3 to score $3 off your purchase. That makes the pack of socks just $1.99! Even sweeter, shipping is FREE! Order yours here! !